Have you seen the all-new Jaguar E-PACE and F-PACE SUVs? With their unmatched drivability, styling & price points, these innovative wonders place Jaguar well above the competition. In fact, we have added a comparison chart for review. 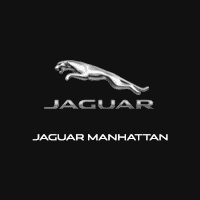 Let us demonstrate how Jaguar stands above the rest with a free 5 year 60,000 mile maintenance package with every new Jaguar*. 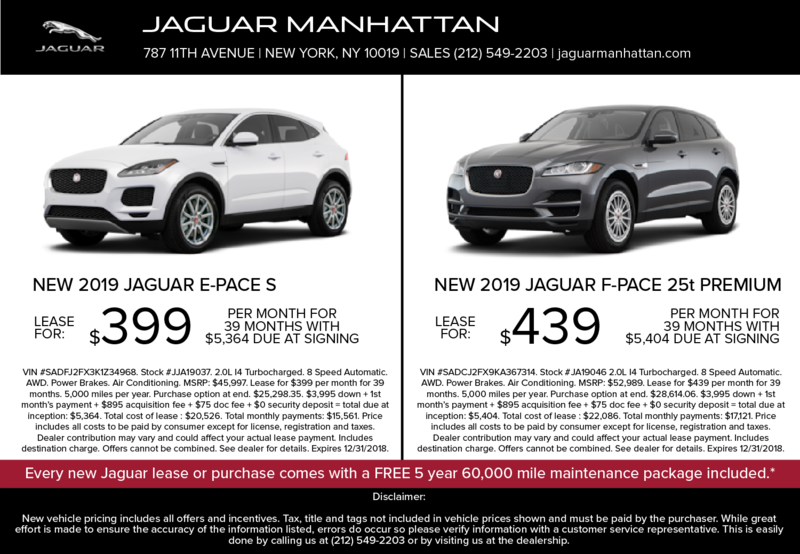 Call or email Jaguar Manhattan today to schedule a test drive, and take advantage of our exceptional offers during the Unwrap a Jaguar Sales Event, going on now through December 31st!